Guy Wright has officially joined the Terra Kendama team! Hell yeah! Congratulations to Guy and Terra…this is a perfect match-up! Guy is easily the best Pill player on the scene, and is also just a completely awesome dude to hang out and drink beverages with. If he were here, I would hug him and hand him a beverage. Check out Guy’s crazy Pill edit, and then go get yourself a Pill. They’re really just too much fun. 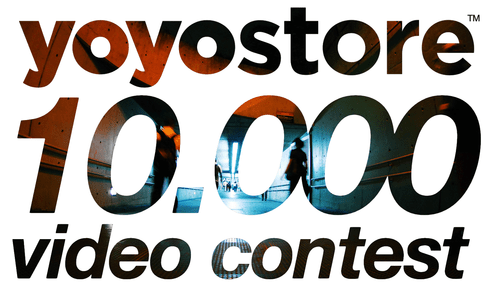 The YoYoStore.cz Facebook page reached 10.000 likes and they’ve decided to have an international video contest. Theme for the video is “10.000”. Check out full details for the contest below, and good luck! The contest has two categories. The first one is for the best video, chosen by the YOYO STORE team. The second category is – the most views on YouTube prize. This one goes to the video which is going to have the largest number of views at the end of the contest. Winner of this gets YOYO STORE voucher for 2000CZK (aprox. 75€). We’re going to judge the originality, idea, concept and entire presentation of the video. Quality of yoyo tricks is irrelevant. We may award more videos if we especially like them. submit a video themed “10.000” and upload it to YouTube. We wish the best of luck to everyone and we’re looking forward to all your creations. We’re always fascinated by your creativity and originality. That’s the best part about this! The technical difficulty shown off here is very impressive! 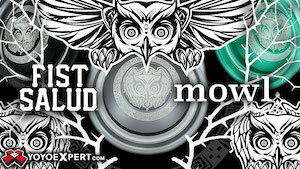 YoYoStore, the first dedicated yoyo store in Europe, has expanded their online store and now ship all across Europe! Owned and operated by Jan “Korda” Kordovsky (organizer of Czech Nationals and the 2014 World YoYo Contest), YoYoStore carries a full range of yoyos and accessories for all skill levels of players, from beginners to World Champions. And they aren’t just a retailer…they support the scene! Instrumental in making the Czech Republic into one of the most prolific yoyo scenes in the world, YoYoStore sponsors and supports a team of local players and offers free yoyo classes twice a week and supports contests all across Europe. YoYoStore is the exclusive European retailer for YoYoJoker and YoYoMonster, and also carries a wide selection of models from C3YoYoDesign, YoYofficer, Duncan, YoYoJam, YoYoRecreation, and many more. 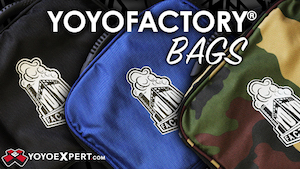 YoYoNews has worked out a special deal with YoYoStore…the first 10 orders to use coupon code “Y0Y0N3WS” get free shipping! (Those are zeroes, by the way.) 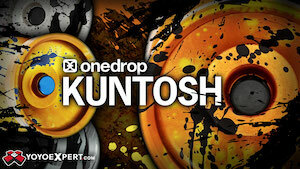 Head over to YoYoStore.cz now for all your European yoyo needs! Check out this Google Street View of YoYoStore’s physical retail location…the top meeting place for the best players in Prague.